When they say that the generations of men and women who bravely fought in WWII were the best generation of the 20th Century, there are nothing but valid reasons behind it. When we were thrusted into war after Pearl Harbor we were not only fighting the Nazi regime decimating Europe but also fighting the Empire of Japan. Brave men and women signed up wherever they could to help stop the oppressive forces that were are work. Many times we hear about stories about these men and women who fought in Europe but we don't hear enough about those who saw battle in the Pacific. 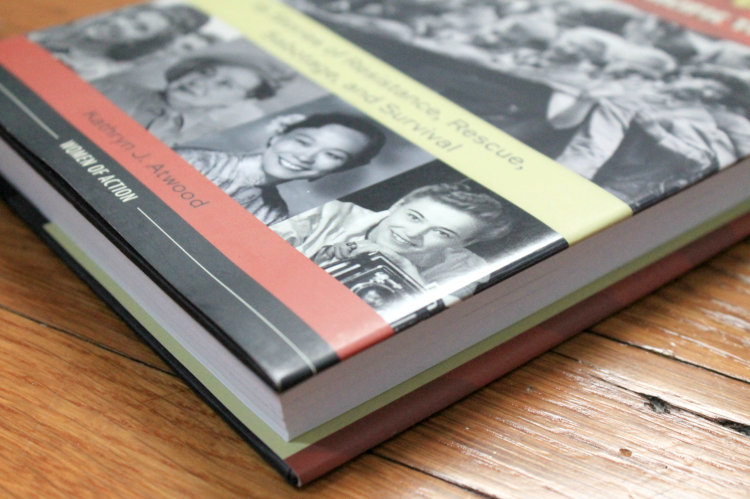 Women Heroes of World War II: The Pacific Theater written by Kathryn J. Atwood holds within its pages the stories of some incredibly brave and self sacrificing women who fought for freedom in the Pacific Theater. Atwood is also the author of two of my favorite books about women and war, Women Heroes of World War I: 16 Remarkable Resisters, Soldiers, Spies, and Medics and Women Heroes of World War II: 26 Stories of Espionage, Sabotage, Resistance, and Rescue. Kathryn Atwood has this beautiful way of writing that is both academic and poetic. She has the ability to capture the stories and truths of those who fought and in some cases sacrificed their lives. Many of these women are now long gone but their experiences in war as told by Atwood can be shared and taught to the next generation. They are both informative and inspirational. You cannot read one of Atwood's books about women in war without feeling immense pride. Atwood continues her great work in this collection of stories focusing solely on those who fought and survived the war in the Pacific Theater. Each of these 15 stories are in a way snippets of a larger story. I love so many things about this book but one that I found super useful was that at the end of every story Atwood adds the names of other books if you want to read about the person further. This book as well as Atwood's other books about women in war would make fantastic tool. One of the stories that has haunted me is the one about a woman named Vivian Bullwinkel. Vivian was an Australian army nurse who was stationed in Singapore but had to evacuate due to the war coming into the country. While on board a ship which carried women and children along with various military person's, the ship was attacked. Many of the people on board drowned or were taken prisoner by the Japanese. Vivian and a few of her fellow nurses ended up washed up on a beach. They discovered that the Japanese were also on that island so an officer and some civilians decided to see if they could surrender because they figured it would be the better option. What happened to Vivian and her fellow nurses seems like something that came from a horror movie. "The Japanese officer said something to his soldiers. They surround the 22 Australian nurses. They prodded the nurses with their bayonets until the women had formed a line into the water. Two wounded nurses had to be half carried there by their companions. It seemed impossible to Vivian that a mass slaughter was about to occur in this beautiful setting. She kept asking herself why. And what right did the Japanese have to kill them? But she said nothing aloud. None of the nurses did. Except for the sound of the water hitting their thighs, the beach was silent. Vivian, sad to think her mother would never learn what happened to her, suddenly felt peaceful when she realized she would soon see her deceased father. She wanted to communicate her new emotion to the other nurses. She turned and smiled at them. They returned her smile "in a strange beautiful way." They had obviously found their own ways to cope during these last terrible moments. Then Vivian heard the whispered voice of their matron, Irene Drummond, "Chin up girls, I'm proud of you and I love you all." 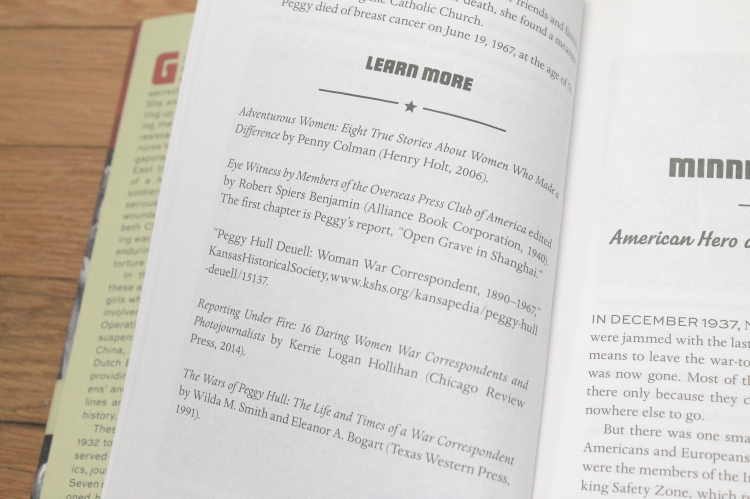 Excerpt from Women Heroes of World War II: The Pacific Theater. When I read that passage I simultaneously got goosebumps and tears in my eyes. I have never faced war and cannot imagine what conflicting thoughts and emotions the women who did face war went through. This book helped me become aware of some of the ordeals people, in particular, women faced during the Pacific end of World War II. After I finished the stories I couldn't help but feel grateful for their sacrifice but also grateful that there is a book like this out there whose sole intention is to educate and inspire. 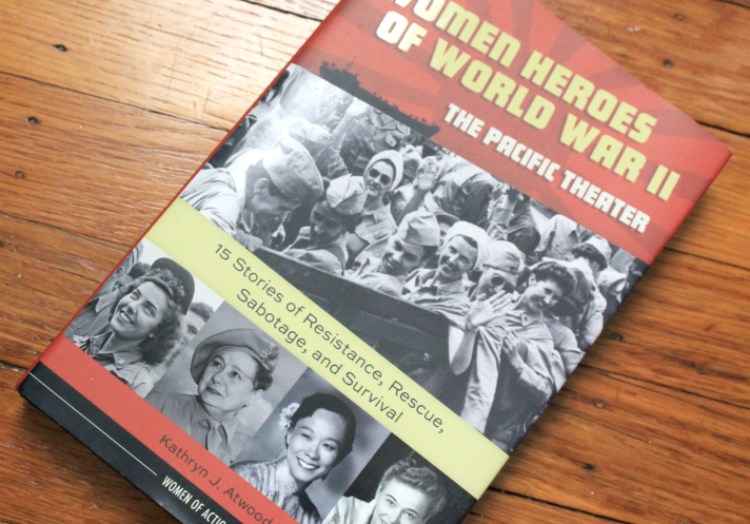 Women Heroes of World War II: The Pacific Theater will keep you enthralled and captivated. You will not want to put it down until you have absorbed all of the stories. And if you are a curious person like me, you will end up researching some of the women in the stories just so you can learn more about them. 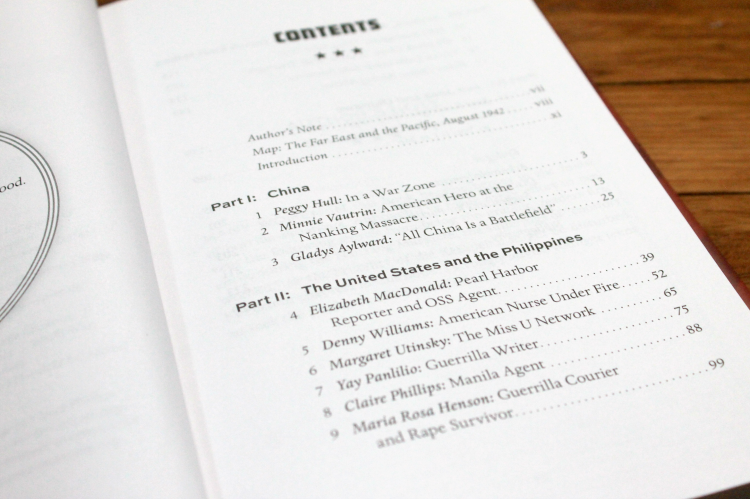 If you are interested in having your own copy of Women Heroes of World War II: The Pacific Theater by Kathryn Atwood, I will be giving away two copies. A giveaway is coming soon.